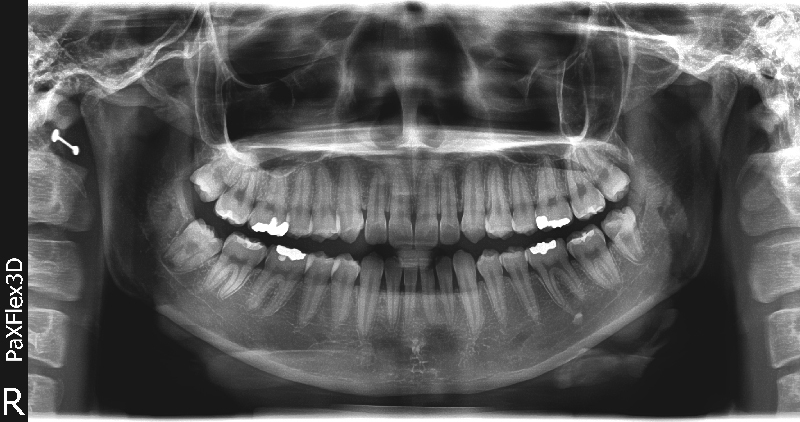 OPG (orthopantogram) is a panoramic view x-ray that displays a curved structure of jaws and teeth on a 2 dimensional flat image. It provides general overview of the teeth; the number, position and growth including those not yet erupted and the jaw bones, the sinuses and the joints between the jaw and the skull (temperomandibular joints). An OPG may be requested for the planning of orthodontic treatment and for assessment of wisdom teeth. 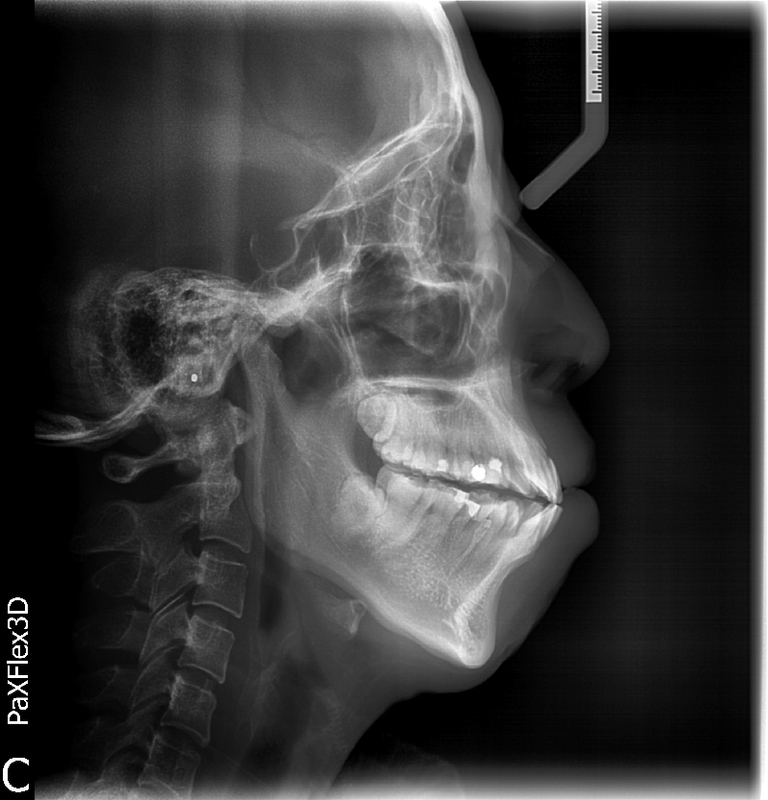 Lateral cephalogram is a side view x-ray of the face, which demonstrates the bones and facial contours in profile. Cephalogram with OPG is requested to obtain measurements and determine relationships of the structures of the lower face for orthodontic treatment. There is no dietary restriction or other preparations requirement. Any items around the head, neck, and inside the mouth that may obscure the images will need to be removed including, jewellery, eyeglasses, hairclip, dentures and hearing aid. For OPG you will be asked to stand with your chin resting on a chin rest and to bite gently on a covered mouth piece. Head will be fixed in position by side support and hands hold onto the handles to ensure no movement while scanning. It is important to stay very still while the machine is rotating around the head for about 10 seconds. For lateral cephalogram you will be asked to stand straight and the machine height will be adjusted. Cone shaped plastic supports are then gently pushed into each ear to position the head for true side view. The machine will be scanning the side of face for about 10 seconds and you need to remain very still. The images and report are normally ready on the following day. Hard copies of images will be provided on a film format. Soft copy will be also provided on CD. Electronic transfer of both images and report can be done for the referring doctors with online health system link. © 2015 CENTRA Medical Imaging. All Rights Reserved. Empowered by GNA eMarketing.